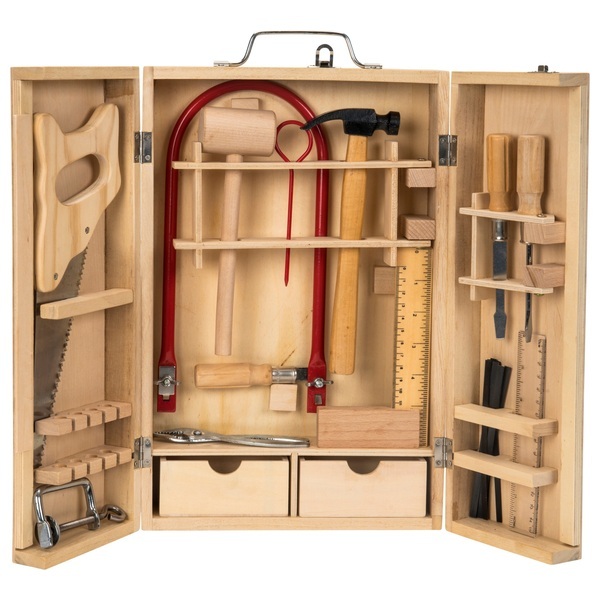 This Junior Wooden Tool set is perfect for training in any junior carpenter. This set can help with the development of the child's imagination. Includes 15 play tools!